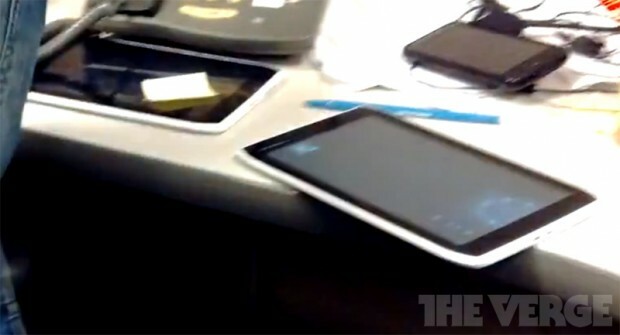 Thanks to our friends at thisismynext we have footage of what appears to be a 7 inch Motorola tablet. It appears to be an upgrade over Motorola’s Xoom that was launched earlier this year. From the photo can can see that it comes with Honeycomb’s camera app and it runs Android though we have not confirmed which version. This tablet seems to be equipped with micro-USB and micro-HDMI ports. It appears to have a 16:9 screen and is likely the portable 7-inch model that Motorola CEO Sanjay Jha talked about earlier. We will update you when we find out when Motorola will make an official announcement about this tablet and when it will be released for retail sales. At the upper right hand corner of the pick you also see and unidentified phone. What phone might it be?